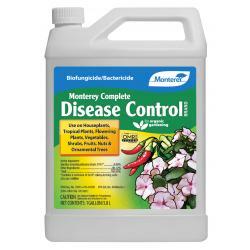 Monterey Complete Disease Control is an OMRI listed biofungicide and bactericide for organic gardening. 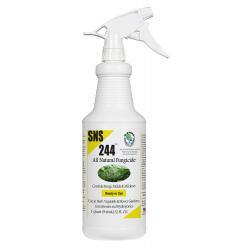 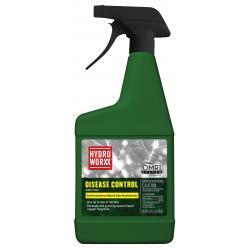 For control of plant diseases in home gardens: vegetables, ornamental and fruit trees, shrubs, lawns, flowers, bedding plants and potted ornamental plants. 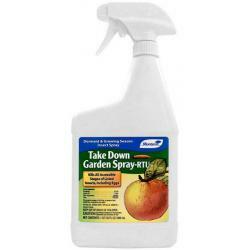 Use as foliar spray or soil drench. 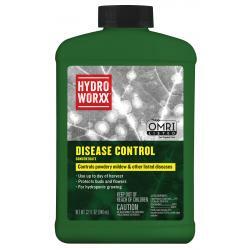 Can be used up to day of harvest. 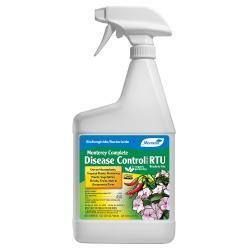 Broad spectrum disease control.